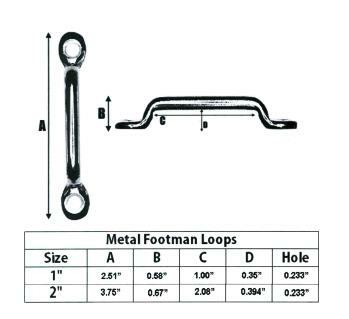 Footman loops are great for adding additional tie down points in your vehicle. 2" Black Metal footman loops. Sold individually. Also available in Nickel plated, and 1"
For orders over a 100 footman loops, call for Quantity discounts. Quantities over 40 will ship FedEx at FedEx rates.